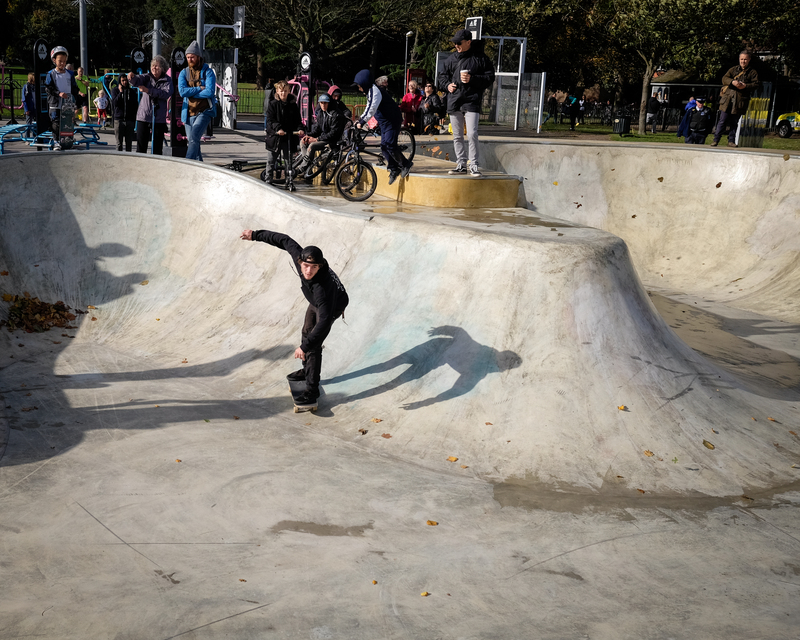 Greenwich Council says it doesn’t have the money to install floodlights at the skate park in Charlton Park, after 344 people signed a petition calling on the authority to light up the facility. The skate park, which opened in October 2017, currently has no lighting so can’t be used safely after dark. It was built with £365,000 of money from developer Berkeley Homes after it built on a previous facility in Woolwich. But the Friends of Charlton Park and Greenwich Skatepark Cooperative raised safety concerns about the poor lighting in the area, and presented a petition to the council in December calling for low level lighting to be installed. Safety concerns have increased since then following the break-in at the Old Cottage Cafe last month. However, the response to the petition says the council “has no funding for the costs of installing the lighting”. Instead, the council has suggested that the Friends of Charlton Park seek external funding for the floodlighting. “It was agreed in principle subject to public consultation, planning consent and that planning and installation costs being secured by the Friends Group that floodlights for the skate park and outdoor gym could be installed,” a report to be presented to next Wednesday’s full council meeting says. The Friends of Charlton Park has also been asked to monitor usage of the skate park and outdoor gym to demonstrate how busy they are. Security in the park has also become a bigger issue after the break-in at the Old Cottage Cafe last month. The response, however, is likely to generate even more disquiet about how the council spends funding from developers – known as Section 106 money, which is used to mitigate the impact of development in an area and contribute to community projects and facilities. The petition response will be discussed at the full council meeting on Wednesday 27 February. If you wish to ask a question about it, or any other matter in the borough, email committees[at]royalgreenwich.gov.uk by noon today (Wednesday 20th). 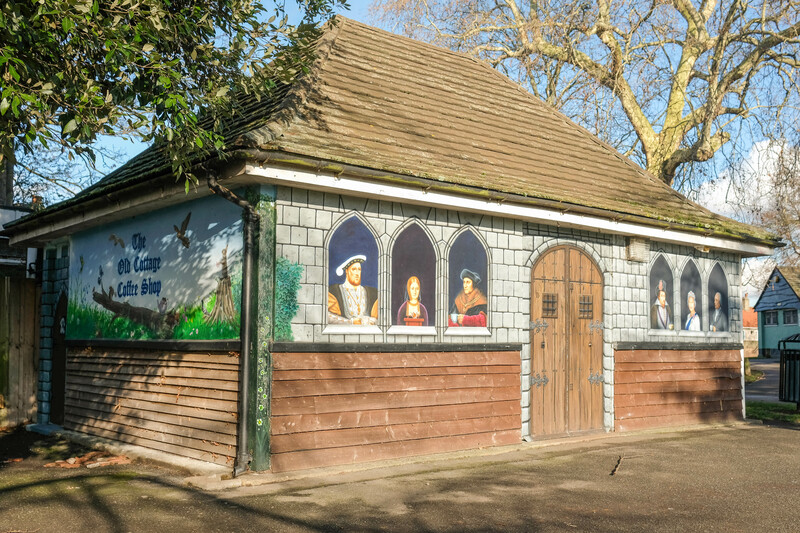 The Old Cottage Cafe in Charlton Park reopens at 11am on Thursday, less than two weeks after it was trashed by burglars who made off with takings and the cafe’s till. More than £6,700 has been raised by customers to get the cafe back on its feet after the theft, with neighbours rallying round to help the business pick up the pieces. Thursday’s new start at the Old Cottage Cafe won’t be the biggest opening in the area that day – a certain furniture store is seeing to that – but it will be one that at least the whole community can get behind. What’s more, if fears of traffic carnage are correct and Ikea does snarl up the traffic on Saturday, at least you’ll have somewhere to go to hide from frustrated drivers. I set up the Gofundme page on Sunday morning, and since then the total that has been donated is over £6,100. Having spoken to Michael again at lunchtime today to get the money deposited into his account, he told me how amazing he thought the response had been and he was really touched by the comments that everyone has left on the site. It doesn’t look like they’ll be able to open again this week, but hopefully this money will make sure that they are able to get back to being the much loved stop-off that everyone clearly loves so much. The fundraising page is still open if you would like to contribute. Anyone with any information on the break-in should call 101 or use the Metropolitan Police website. We’ll bring you news on when the cafe will reopen as soon as we have it. 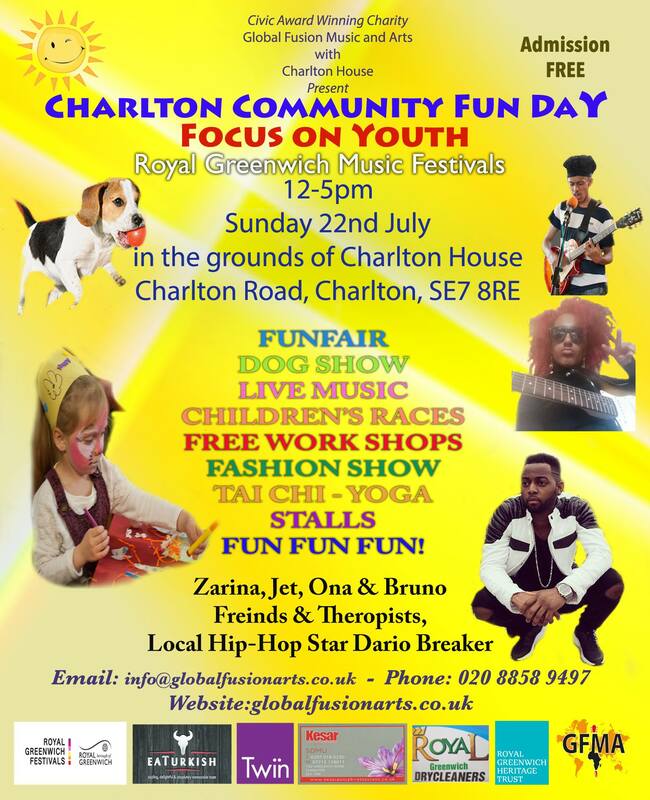 Global Fusion Music And Arts and Royal Greenwich Heritage Trust are running a Community Fun Day and Dog Show this Sunday, July 22nd, in the grounds of Charlton House. 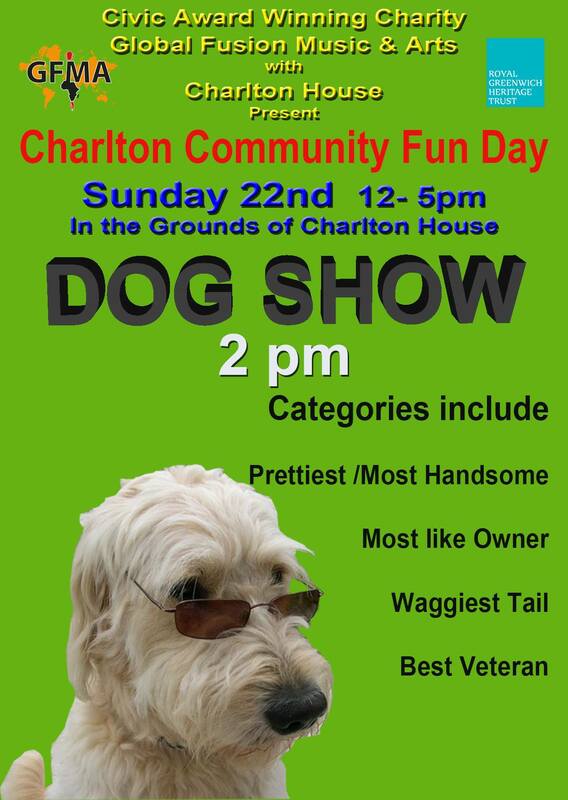 Themed ‘A focus on youth‘, the event takes place 12-5pm with the dog show at 2pm. Admission is free.